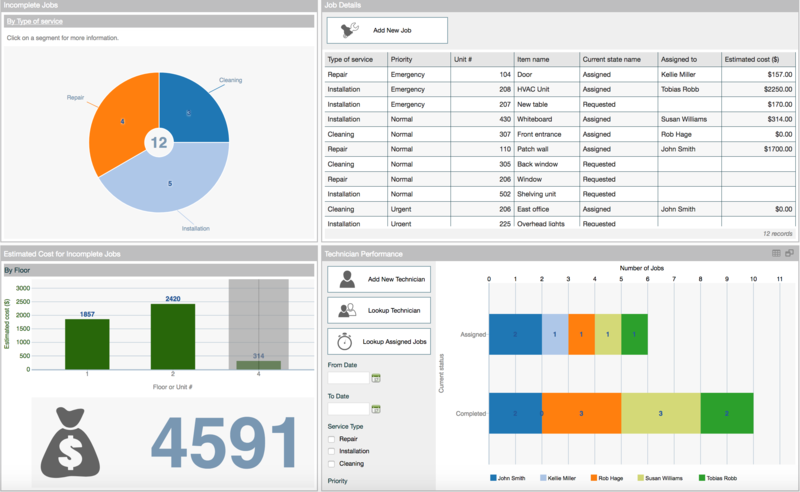 Your trial includes a sample dashboard with insight-to-action features that let you drill down to the most important information in your application, and take action directly from the dashboard. The dashboard is based on a sample facility maintenance application that lets users manage maintenance jobs in a business center. Login to https://try.flowfinity.com from your web browser. If your trial has a Site menu at the top right, ensure that the 'Public' Site is selected. 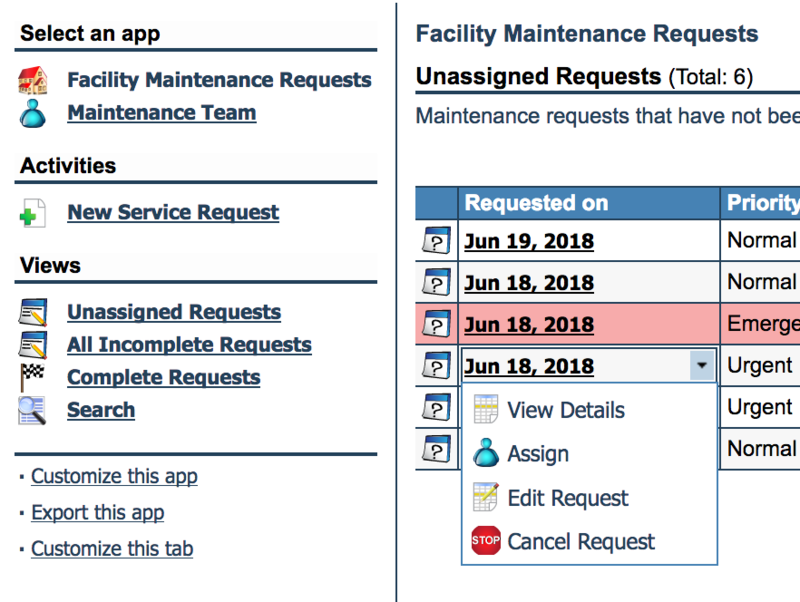 All the data from the sample dashboard is stored in the Facility Maintenance Requests app. You can access the app by clicking on the "Facility Maintenance App" tab. 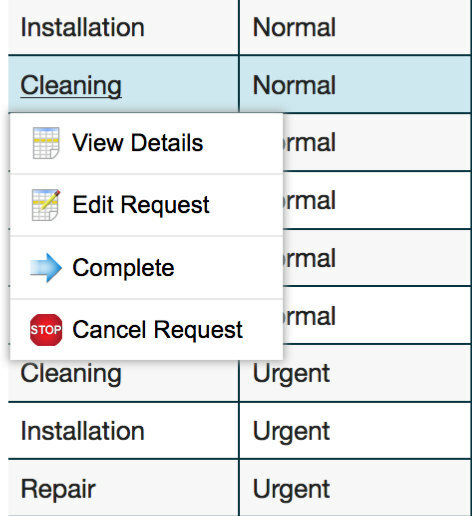 You can add new maintenance requests manually or import them from a CSV file through the Activities menu on the left. Click on any individual record to view or update the request's details. Note: This application can be customized by clicking on the “Customize this app" link in the left menu. 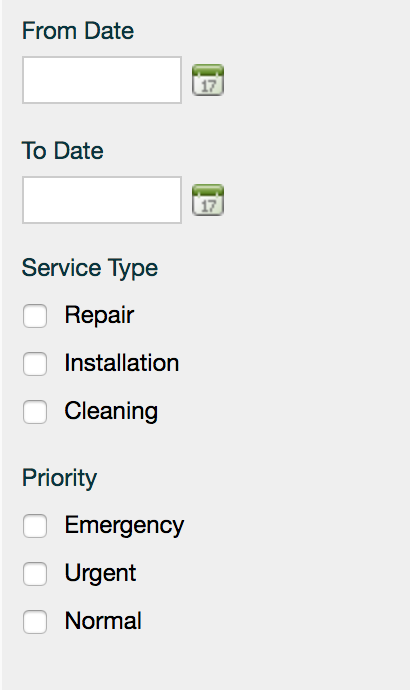 To drill down to the "priority" level, click on the "By Type of service" link on the left top corner of the widget. 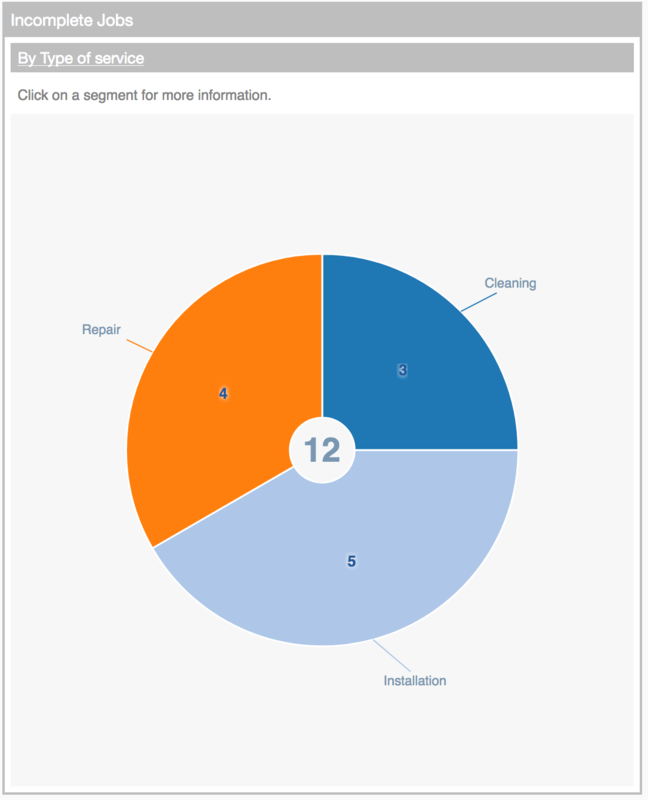 Or click on the pie chart segment and choose "View by Priority." 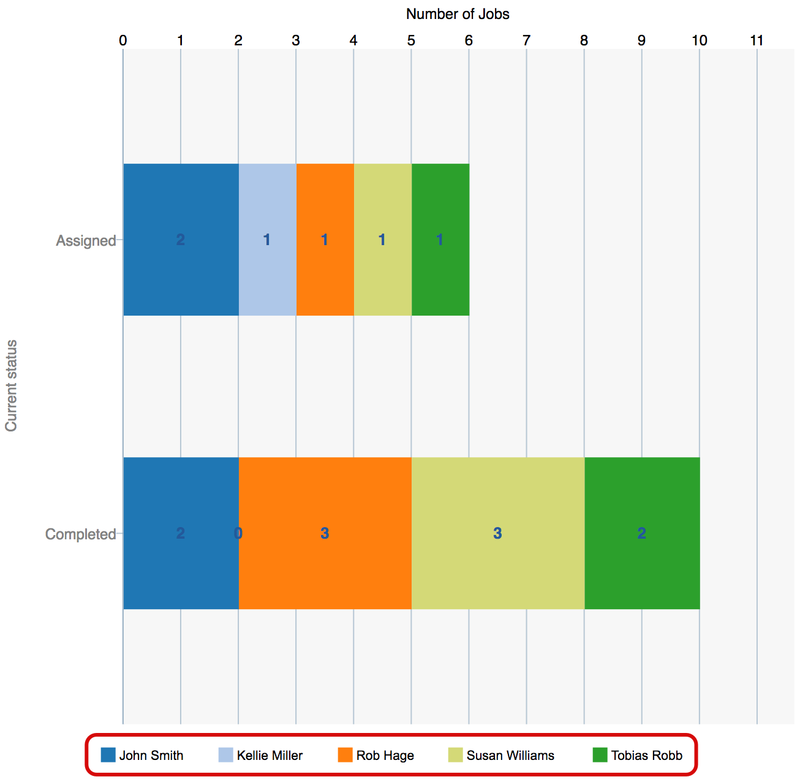 The records in the table can be filtered by clicking on the "Incomplete Jobs" pie chart segments. Click on the button “Add New Job" and fill out a new job request. If you click on any record in the table in the left column, a record menu will pop up. 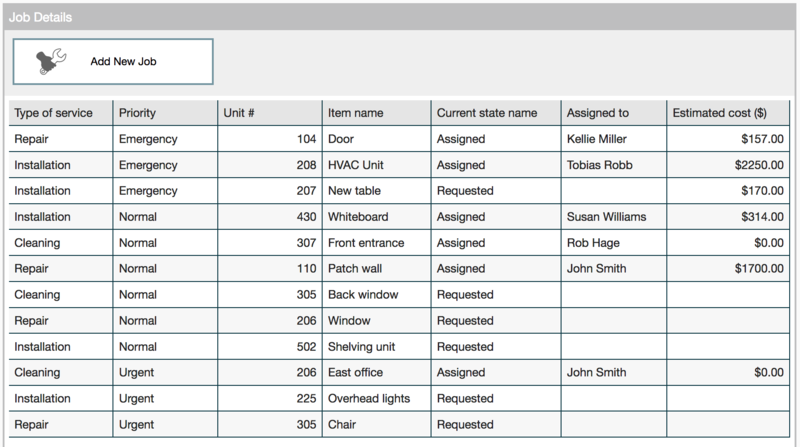 It shows which operations are available for that record, such as assigning tasks, updating job details, and more. These operations were created in the application editor. You can drill down to individual "units" by clicking on a bar and choosing "View by Unit #." This widget has a second level under the bar chart. It shows the sum of costs for all incomplete jobs. Click on the "Add New Technician" button to add new personnel. To look up the list of all technicians, click on the "Lookup Technician" button. Use the “Lookup Assigned Jobs" button to reassign, complete or cancel job requests. Choose the job priority – emergency, urgent, normal. To filter data by the technician's name, click on the relevant name on the X-axis. Click on the menu icon on the top left corner and choose "Customize". A new tab will be opened with the dashboard editor. To add new widget click on the "Add widget" link on the left corner to add new charts. Or right-click on the widget name to update the current widget properties or charted data. After you finish updating the dashboard, click again on the menu icon on the top left corner and choose "Publish". You can view data from any dashboard chart in a table format. To do so, hover the mouse on the right top corner of the widget and click on the icon "table". 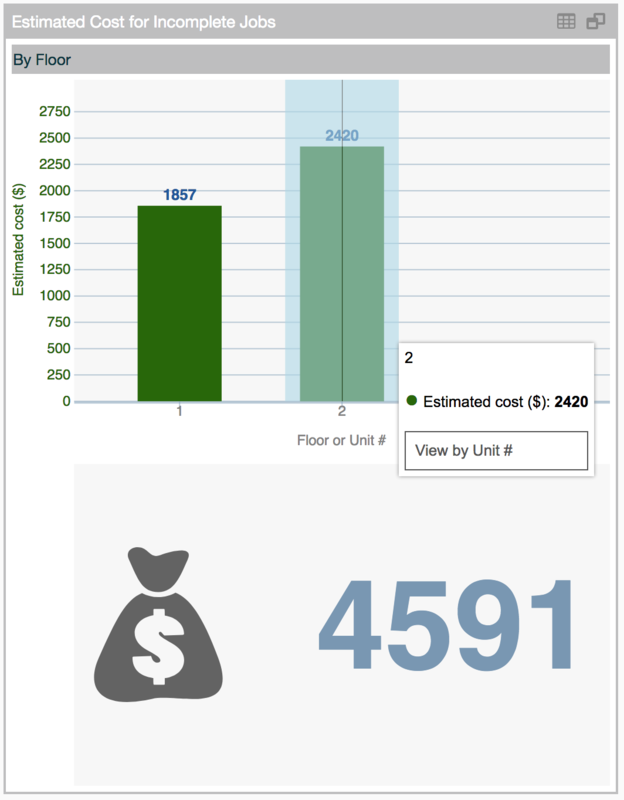 To view the dashboard on your mobile device, make sure you have the Flowfinity mobile client installed. Log in to your trial account, and choose the "Facility Maintenance Dashboard" link at the top. 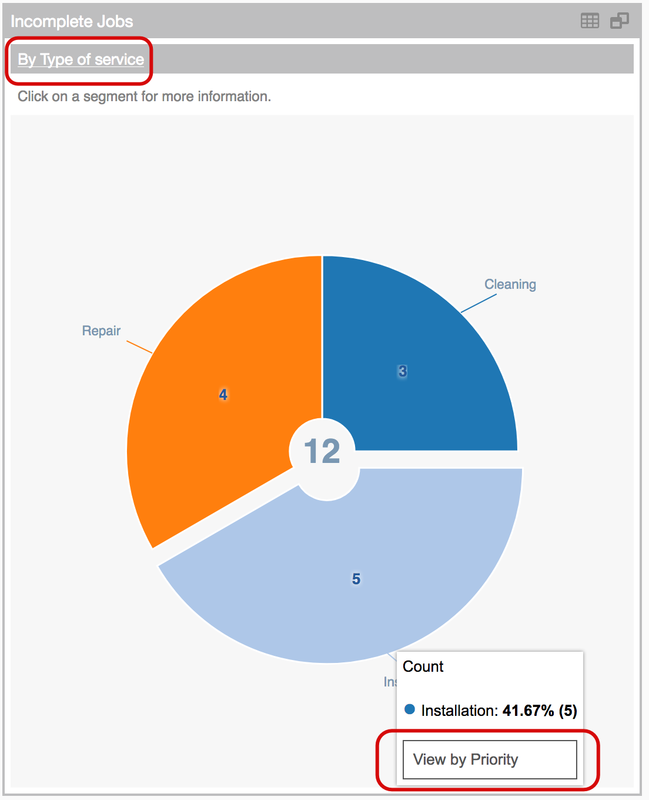 For more information on customizing dashboards, please visit the Knowledge Base article Introduction to Dashboards. If you have any questions about how a Flowfinity solution can be customized for your business, please contact our sales team.